The unique olfactory signature will leave you asking for more and will then satisfy that with a wide range of differing experiences. What make these fragrances special are the formulations that are chemically sound and safe for the environment. 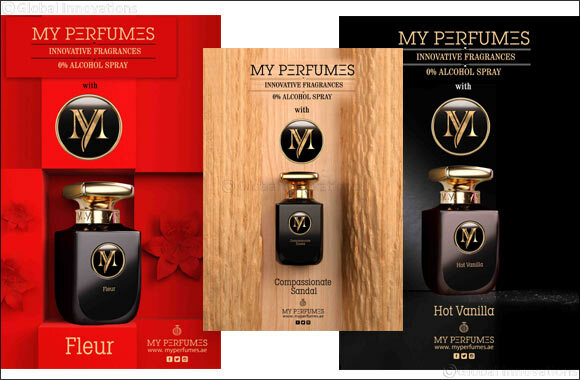 The newly introduced ‘MY' range includes some of the most spell-binding fragrances aptly named Fleur, Powdery, Rustic Oud, Compassionate Sandal, Hot Vanilla and Intense Orris. They are rich in texture and their silkiness embraces your skin smoothly, leaving it refreshed. Made in Dubai, these perfumes strike the perfect chord with your taste for elegance. ‘My' is for ‘You', the unique You.